Posted by V the K at 6:19 pm - May 8, 2015. YES!!! A thousand times, YES!!! 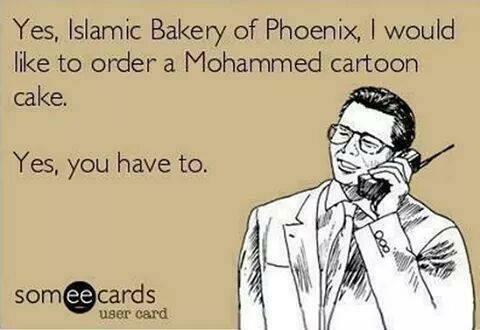 Steven Crowder already did a video this trying to get a gay wedding cake from moslems no leftist was interested. Posted this on my FB page.. All my Christian bashing friends have remained silent. What is so amazing is not the double standard but the lack of even seeing there is a double standard. They don’t understand that holding a group of people to a lower standard of behavior is as equally racist/bigoted has hold them to a higher standard. The liberal defence of the terrorist is in essense,”These people are unable to control their instinct for violence that the rest of us have learned to control hundreds of years ago”.